Please Find a Short History of Our Company Below. The predecessor of KMGY was founded in Budapest on July 15, 1900. As engineers and early innovators, the founders developed a range of equipment for both laboratory and industrial use. The firm began to focus on electrical instruments for road and rail transportation in 1920. The company moved to a larger factory to meet demand for both vehicle and aircraft instruments. By 1957, KMGY focused mainly, again, on vehicle instruments. KMGY merged with two other instrument firms, Ganz Istrument Work was established and began exporting its products. This period began a rapid expansion of export activities and establishing the name internationally. KMGY and the German firm VDO began a cooperation and licensing production agreement. This cooperation continued successfully for 25 years. The company’s technical development increased rapidly, in order to supply instruments according to very demanding German quality standards. The changes in the economic and political systems in central Europe were challenges for KMGY. The firm’s established reputation in several European markets and careful retention of a skilled workforce allowed for refocus and reorganization. 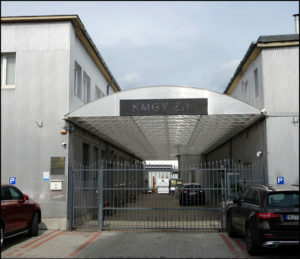 KMGY became a privately owned company under the current owners. The new management team established a solid financial basis for the business, renewed production and technical modernization, and re-established relationships with partners in Europe and overseas. KMGY moved to a new production facility, while keeping its skilled workers. A new long term technical development strategy began, with the goals of continuous upgrade of both products and manufacturing and quality management. KMGY became an “all electronic” manufacturer with the introduction of a new family of dashboards and instrument clusters for tractors, buses, and other agricultural, construction, and transportation equipment. 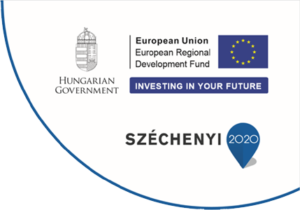 The company’s innovation was recognized with EU support.